Edgy Labs would like to discuss with you a personal favorite: cycling. Here's how the world can pave the way for electric bikes. Cycling is a wonderful way to approach transportation because it combines exercise and eco-friendly travel. Enter the electric bike, an innovation on a classic design that allows users to get more out of their cycles while requiring less effort. 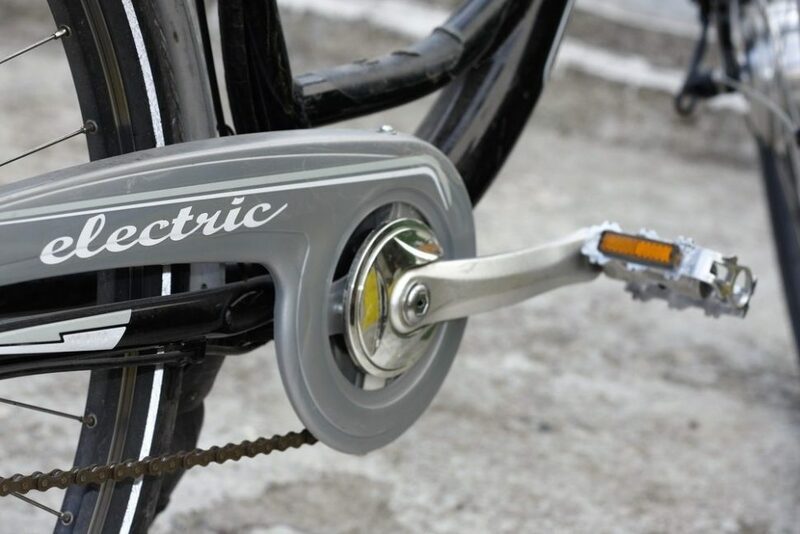 Electric bikes use a small electric motor to assist, not replace, the act of pedaling on a bike. These motors often use lithium batteries that have a range between 20 and 25 miles, and they are capable of going about 15 mph on their own, but that isn’t a hard limit. One can always pedal harder if they want to go faster. Furthermore, some electric bikes use power-assisted pedaling that can make it easier for riders to accelerate or go uphill, while others have a throttle or a control panel on the handlebars that allow users to adjust how much assistance they get from the motor. Some motors, such as the Copenhagen Wheel, are called pedelecs because they only assist the act of pedaling. These electric motors tend to feature a longer range due to their inability to completely replace the need to power the movement of the vehicle manually. Electric bikes are being found in many urban areas, bridging the gap between cycling enthusiasts and those just looking for a more economical or environmentally friendly way of getting around. Electric bikes fit anywhere traditional bikes do, so here’s a quick look at some cities that are making the most of this two-wheeled transportation. Amsterdam is a mandatory mention in any article about cycling because it is the unofficial cycling capital of the world. Around 63% of Amsterdammers use their bikes daily, making it a hot scene for cycling enthusiasts. The city boasts about 2,480 miles of designated bike paths, including some that venture underground. If Amsterdam is the world cycling capital, New York might hold that spot for the U.S. According to the NY Department of Transportation (DOT), tens of thousands of bikes traverse the East River Bridge every day, and that represents just a fraction of the total cycle-use for the city. With a dense population and a classic metropolitan sprawl, it is a safe bet that any view of New York streets contains at least a few people weaving around traffic on their cycles. Beijing tops off our list of cycling locations with an astounding seven million registered bike users. The proliferation of two-wheeled conveyance there shows roughly ten bikes for every car, and those bikes are used for a multitude of applications. For example, an onlooker is likely to see bikes pulling cargo trucks, electric bikes, and even bikes with live animals strapped to the front. These three cities make good places for electric cycling, but they all regulate cycle usage to safeguard pedestrians and automobiles. There are no vehicles in the civilized world that don’t have some regulation, and for bikes that means regulating the roads just as much as the vehicles. Luckily, electric bikes don’t differ from their manual counterparts enough to warrant special legislation quite yet, but there are still measures that governments can take to pave the way for cycles, and if cycling is promoted then electric cycling will be there to appeal to those people who aren’t necessarily bike enthusiasts. The biggest detriment to bicycling in an urban environment is safety. After all, if you share the road with steel death machines (read: cars), you want the roads to have bike-friendly features, such as special lanes meant solely for bikes and public cycle parking areas that can keep you far away from your four-wheeled counterparts. Europe is far more progressive when it comes to cyclists, and they set the standard for how countries can promote cycling. More attention is paid to biking infrastructures, such as cycling lanes that have a much more definite presence, and even bicycle highways connecting cities and their surrounding suburbs. Cycling culture is well-received on the European continent, so it is easier to craft responsible legislation. Yet, if the rest of the world wants to promote bike usage in their respective countries, they should follow the example of Europe’s major cities.